Due to the complexity of their operations, oil and gas companies require project management software to optimize resources and track milestones for capital investments, expansion into new markets, or large exploration and production activities. Oil and gas project management software can also be used to manage the risks associated with every type of project, which can lead to cost reduction, increased productivity, and better safety for employees. Project managers and their team use this type of software to plan, implement, monitor, close, and evaluate oil and gas projects. Oil and gas project management products can be used together with oil and gas asset management software for asset installation and maintenance projects. This type of software also integrates with oil and gas back office and accounting solutions to calculate, allocate, and manage project costs. Acurx is the only cloud-based quality solution on the market today that has been specifically designed to administrate the requirements of multiple API standards. A STO (Shutdown/Turnaround/Outage) management system. Dynamics Software offers an oil and gas distribution solution. Eikos is a web based project management tool, designed to help companies manage complex project processes effectively. It has an established track record in helping manage oil and gas drilling projects and defining well construction and management processes. esi.manage is 3esi's Integrated Business Planning and Capital Management software designed for upstream oil and gas companies. FactoryTalk AssetCentre provides you with a centralized tool for securing, managing, versioning, tracking and reporting automation related asset information across your entire facility. It can do this automatically, with limited additional management oversight or work from employees. FactoryTalk AssetCentre can impact uptime, productivity, quality, employee safety or regulatory compliance. 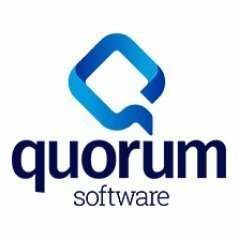 myQuorum offers oil and gas ERP software and project resource management. ADEPT (Asset Development Evaluation and Planning Tool) is Genesis' proprietary field development planning software. ADEPT is the result of an ongoing multi-million dollar programme to provide flexible, fully engineered cost estimating solutions, both onshore and offshore, at the field development planning stage. Archeios cloud-based oil & gas software product, offers operators a solution to well & land information management. Archeio uses agile, metadata driven technology to link scattered sources of unstructured data and documents together. The IPM suite of tools: GAP, PROSPER, MBAL, PVTP, REVEAL and RESOLVE can be run together seamlessly, allowing the engineer to design complete field models. End-to-end solutions for production management and hydrocarbon accounting that is designed to help oil and gas companies monitor and improve production operations and results, and for the effective collection, accounting, and reporting of accurate and validated production data. PetroVR is a decision assurance software for the petroleum exploration and production (E&P) sector of the oil and gas industry. NeoFirma is a full well lifecycle reporting platform and cloud-based software features reports for drilling, completion, workover, and maintenance, plus flexible workflows for managing AFE and other approvals. QUE$TOR provides concept screening, optimization and detailed oil and gas CAPEX/OPEX cost estimates. Manages data and reports trends and history across all rigs, so that you can immediately spot which workflow processes or maintenance plans need attention. tBits Collabwrite is a Web based Project Collaboration and Document Management System for the Engineering and Construction Industry. This system shall help your organization save Time, Money and Resources on projects. Vertical Market Software (VMS) is a leading provider of Petroleum Equipment Industry (PEI) construction, service, and part sales software. Wellman is the number one well life-cycle project, cost, data management application in the industry. With xpdproject from xpdientinc. you can access project resources, statistics and deliverables in one place. Hi there! Can I help you find the best Oil and Gas Project Management solutions?